I’m currently writing the fifteenth 1st draft of my first longer fiction for over 8s. How can it be the fifteenth 1st draft, my non-writing friends ask. Isn’t it just the fifteenth draft? Well, I started to create a character in 2012 when I was on a Faber course taught by the mad and wacky Andy Stanton. My character was borne out of my reading – she was white, her family was white but they were quirky, even weird at times. 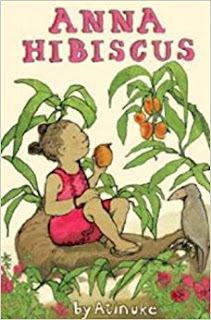 This was a time when I was trying to figure my place in British publishing and having read 100s of series fiction titles, mostly white characters (I hadn’t discovered Atinuke’s Anna Hibiscus then), I attempted to write one. I got fair amount of praise for the voice and the hook – but I also got rejected uncountable number of times. As I was learning to write longer fiction, I had to rewrite everything, but primarily plot, innumerable times. Indeed, why not? I had to go away and think about it. I churned through her question through multiple filters. First indignant – why can’t I write non-Indian characters? Why should be my characters only Indian? Am I culturally appropriating if I write anything else? And more importantly I worried about whether I was scavenging my culture to earn a place in publishing. This last question was the most worrying for me – while the girl lives out of India (since 1999), India still lives inside the girl. But I was one of those early rebels who refused to do “respectable” degrees, “safe jobs” and get married. While I was Indian, I was also constantly challenging the notions of being an Indian. Perhaps sometimes proudly so. So what right did I have to tell stories of my culture if I was constantly struggling against them? I was published in the UK with Walker Books at this time – a book of Indian stories. I had acceptance for three books in India, two of which came out around this time – again all Indian stories. So it’s not that I’ve not written about India – it was more about writing “Only Indian” content. Now this message along with “Write Indian” and of course the familiar adage, “Write What you Know” started mixing in my head. Perhaps it was better for me to write Indian stories. I put away my chapter book with non-Indian characters for a while. 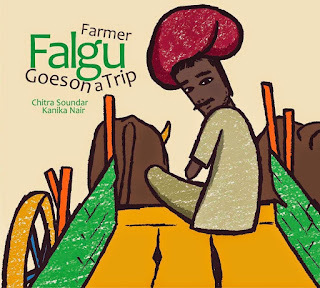 I was focusing on the Farmer Falgu series of picture books which were doing well across the world. And I wrote and discarded three books for 8+ one set in India, one set here but in an Indian family and one where the protagonist was Indian but she had friends from all backgrounds. Fast Forward to 2015. I joined the MA at Bath Spa University. I showed them extracts from my discarded novels and got accepted. And on the course, my character from the series fiction started haunting me again. This girl from the first book I wrote – she was Aurora, now as Aswini Tara kept asking me to write her story. I wrote short pieces, I wrote exploratory scenes, I started and stopped a few times. Each time, I wrote a different plot for her. I tried to nail down what is it that she wanted from this universe? Why was she asking me to tell her story? She transformed from an English girl (mad with inventing) to a spunky girl from India who has recently moved to the UK. Then she wanted to fights different causes and then now she’s finally found her destiny. She is a Maths whiz and a Bollywood babe. It has taken literally fifteen first drafts – each draft carving her differently. If I were a sculptor, I would have dug up earth the size of India by now. Because I'm a Hindu, I believe she has been reincarnated many times. Each time I started a draft, the plot changed, some of her friends changed, the villains changed. Now I’m literally writing the first draft of this fifteenth variation and I am hoping this is her final transformation. But is this because I’m writing my first long novel and therefore I’m learning to write by building and demolishing each time? To answer this, I started looking at my process for picture books. I reviewed a few picture books that I absolutely loved writing but have not sold to any publisher or have been rejected by agents. A quick scan of my cloud folders show me that my picture books go through the same type of revisions. Keeping the spine the same, my stories have completely changed, rewritten, constructed and deconstructed umpteen times. I have some that span over years and in each year, they have been dramatically rewritten. 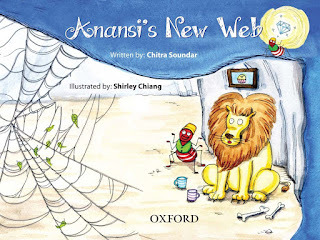 Anansi's New Web that I wrote years ago, was published recently 7 years after it was written. Read about the journey here. I knew the process varies for all writers. There is no one way about it. Writers like David Almond (who I adore) prefers the creative way of doodling, mind-mapping and then writing their way through voice, atmosphere and setting. Others elaborately plot, validate their plot against principles of storytelling. I felt as if I was over-thinking the story by planning it. I wondered if it would kill my inspiration if I dissected it under the microscope of these craft books. No one actually wanted to prescribe one over the other until I read the following. It was like the spirit of Gabriel García Márquez talking directly to me. This question has been extracted from a 1981 interview García Márquez gave to The Paris Review. Do your novels ever take unexpected twists? That used to happen to me in the beginning. In the first stories I wrote I had a general idea of the mood, but I would let myself be taken by chance. The best advice I was given early on was that it was all right to work that way when I was young because I had a torrent of inspiration. But I was told that if I didn’t learn technique, I would be in trouble later on when the inspiration had gone and the technique was needed to compensate. If I hadn’t learned that in time, I would not now be able to outline a structure in advance. Structure is a purely technical problem and if you don’t learn it early on you’ll never learn it. How I wished I had read this early on in my career. Perhaps some advice hits you in the head only when you’re ready for it. For the novel I was working on, I had been outlining, planning, tinkering without writing a word. I didn’t feel guilty about it anymore. If García Marquez says learn to outline, then that's what I'd do. Without an outline, I couldn't imagine how he would have written 100 Years of Solitude. Back to my own story, there came a point where I didn’t want to tinker and solder and move the jigsaw around. I felt I knew enough about the plot and then I plunged into the writing. The writing does of course inform the plot as well. As I wrote, my character spoke to me and guided my hand. I revisited my plot and rewrote it – as my character was whispering to me – but validating that the outline was still holding its own. With some help from my fiction critique group, some MA support from my tutors and importantly wisdom from Garcia Marquez and old fashioned slogging, I think I’ve reached the fifteenth first draft and subsequent drafts would be revisions of this rather than brand new ones. Will I go through the same process for the next book? Will I ever learn to outline and structure before I write? Will I blend the two methods? Maybe García Márquez is right, I can never learn it anymore. Or maybe I can prove him wrong. I’ll return here when this book is finished and the next one gets going and tell you all about it. Do you write umpteen drafts? Do you feel your way through a story or outline it? Have you ever written non-fiction without outlining? Tell me here in the comments. Chitra Soundar is a closet clown, consummate liar, writer and storyteller. She juggles her Masters degree at Bath Spa University with writing new stories and promoting her current books, while holding down a day-job that pays for her roof, floor and walls, food and cake and of course books and stationery. Find out more at www.chitrasoundar.com and follow her on Twitter via @csoundar. Yes, yes, yes! Thank you so much for that quote from García Marquez. Such a relief after another quote I saw recently (attributed to Stephen King) that plotting was the first resort of dullards! I admire David Almond hugely too, but floundered when I tried to follow his method. Let's hear it for explorations of what works for each one of us, and not letting anyone tell us our way is the 'wrong' way. PS your story sounds FANTASTIC. Thanks Rowena - I loved that interview - just google Paris Review and his name. Fantastic piece, Chitra. I am also struggling with the same thing. I am coming to the conclusion that feeling my way into writing works well for the experimental initial stages, but then I need to stop and plot before getting too far. We'll see! It's so uplifting to see I'm not struggling alone. The joy surely is when we discover a new voice, a new character and write into it and then the joy stops when we hit the wall. I think I do need to plan character more than plot - so I can get to a more appropriate plot. Keep sharing guys, it's good to find out different approaches.